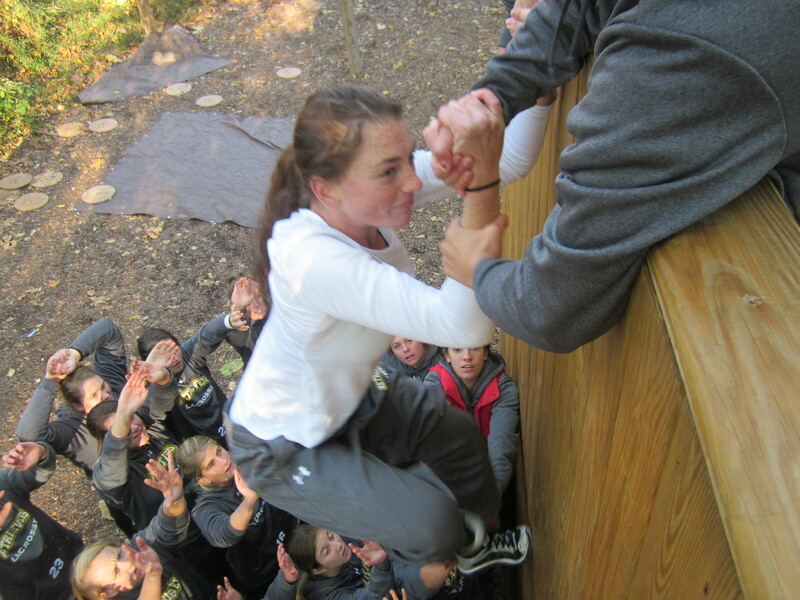 Team Building for Sports Teams includes challenges from a variety of games and activities. It helps to throw in some physical as well as mental challenges. Build close personal and trusting relationships. How do you get a leg up on this before the season starts? It’s simple, team building. Teams need to be challenged through a variety of games and activities. It helps to throw in some physical as well as mental challenges. Mix serious & goofy exercises during the program. Keeping it fun makes it stick and last. A few hours can make a big impact on the team. Activities challenge teams to communicate verbally and non-verbally, develop the ability to problem solve on the fly, develop & execute a strategy, and encourage teammates as milestones are met. One of the great things about letting us do the team building is that you, the coaches, get the chance to watch. You’re not having to come up with the activities, run them, and evaluate all at the same time. This is your time to simply watch how your team performs. We love when coaches come to us afterward saying that they had no idea certain team members would step up and lead. That they were able to gain insight on how the team would react with various challenges. We welcome coaches to give us, the facilitators, a little heads up about specific team members. When we find out who the established veterans are, we challenge them. When we find out who the newer teammates are, we put them in situations where they may not have had the chance to lead before. By doing this coaches can see how the others react and perform with new leaders at the helm. All of these activities and challenges are great but what happens when they’re done? A part of team building that most people don’t know about is the reflection process. This is when we take the time to reflect upon what we just did. The facilitator will start the process of asking questions of the team. Not yes or no questions, but deeper questions like why, how, and what if. As the day goes on the onus shifts towards the team. They begin to ask themselves the questions regarding the last activity. A person will only learn so much from being told something. They only truly grow when they begin to discuss with each other and think for themselves. What happens when you leave? The great thing about team building is that it doesn’t stop when you leave. We give you the tools to continue the growth and development. What you do with it is up to you. If interested in developing that winning team, contact us. At Terrapin Adventures, our custom team building programs challenge your group to step out of their comfort zones and force them to work together to solve certain tasks. Conveniently located in Howard County, Maryland, between Baltimore and Washington DC, our experienced staff is able to create a customized program (onsite or offsite, indoor or outdoor) that exceeds your requirements and helps improve communication and cohesiveness among your employees. Please call Terrapin Adventures at 301.725.1313, or email us at info@terrapinadventures.com to learn more. You can also follow Terrapin Adventures on Facebook, Twitter, LinkedIn, YouTube, Google+, and Pinterest for up-to-date information on events, trends, and other fun and exciting outdoor activities. This entry was posted on Tuesday, February 18th, 2014 at 10:00 am. Both comments and pings are currently closed. Team building is so important in every sport. It is amazing the difference team building can make in the way your team plays. It is essential that everyone respects and trusts each other. Once you get your team working together properly they are sure to be unstoppable. for our 16 yrs of age Volleyball Team, girls. Any ideas?